As the Seattle Landmarks Preservation Board considers the nomination of one historic Capitol HIll apartment building Wednesday afternoon, another less likely neighborhood candidate is also queued up for its turn in front of the board later this month. 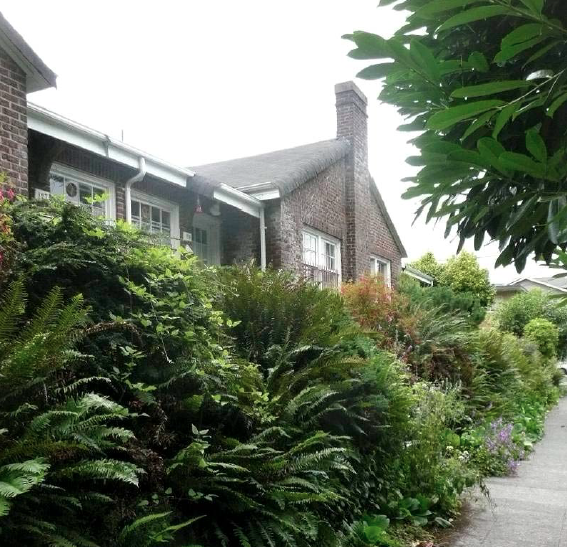 One of the last examples of a courtyard-style apartment building on Capitol Hill, 18th Ave E’s Ruth Court Apartments is being nominated as the property is sized up for a new, four-story apartment building. Its time before the board will come September 17th. But first on Wednesday afternoon, the board will consider another 20th century Capitol Hill multifamily project. In August, CHS reported on the $2.7 million sale of the Anhalt building at 16th and E John and its landmark nomination as part of a planned restoration of the building. 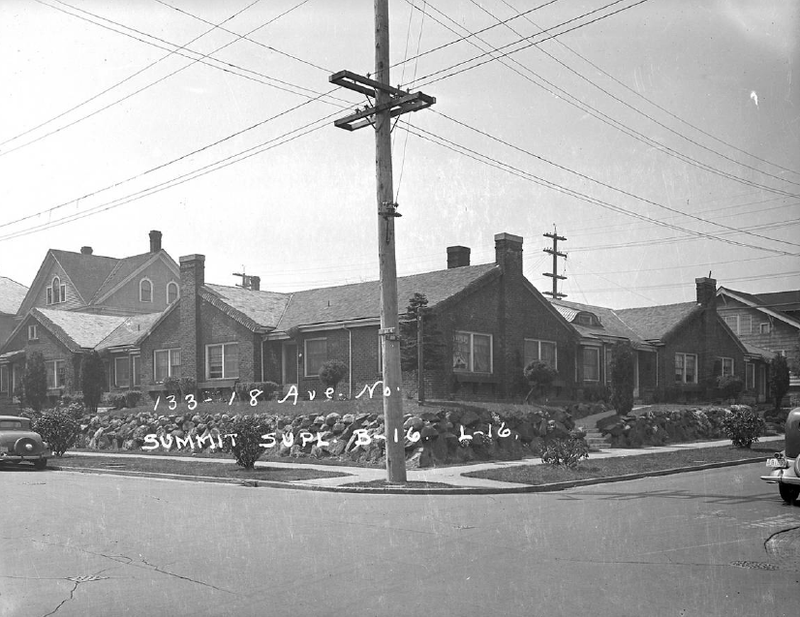 Odegard Gockel, the Bellevue-based developer behind the Ruth Court project has no such plans for the 8-unit building that has stood at the corner of 18th Ave E and E John since the time Babe Ruth was playing for the Yankees. If the landmark process determines the building does not qualify for nomination, the decision will pave the way for Ruth Court’s demolition and construction of the Bazan Architects-designed apartment building. The neighborhood where the Anhalt and Ruth Court are located is already relatively landmark-rich with the Capitol Hill United Methodist Church at 16th and John, the 1st Church of Christ Scientist abutting Seven Hills Park, the Hillcrest Apartment building at 17th and Howell and the Sound Mental Health/Galbraith House all receiving the city’s formal designation. As we’ve reported in the past, landmark nomination, designation and/or disqualification can all mean different things for a building depending on what the board deems worthy — or not — for protection and preservation. The process, of course, can also represent a last check-box to be cleared before a building is demolished to make way for bigger, sometimes better things. According to the research submitted by the developer, prospects for Ruth Court as an official landmark seem dim. While builder John Hudson was responsible for several projects in Seattle at the time, architect WE Dwyer had only a brief career in the city, cut short, the packet notes, by his untimely death. No owners of great note assumed title of the investment property — no tenants of historical import appear to have graced the Tudor Revival-style, masonry apartments. The city’s announcement of the nomination and the documents filed by the developer for the landmarks process are below. th Avenue East in Seattle. The meeting will be on Wednesday, September 19, 2012 at 3:30 p.m. in the Seattle Municipal Tower, 700 5th Avenue, 40th Floor, in Room 4060. The public is invited to attend the meeting and make comments. Written comments should be received by the Landmarks Preservation Board by 5:00 p.m. on September 17 at the following address: Seattle Landmarks Preservation Board, Seattle Dept. of Neighborhoods, P.O. Box 94649, Seattle WA, 98124-4649. Comments can also be emailed to Kate Krafft at kate.krafft@seattle.gov. Are there drawings of the proposed building at 18th & John? Not yet publicly available. The public design review process is far from beginning. In this case, the developer started with the landmarks process.